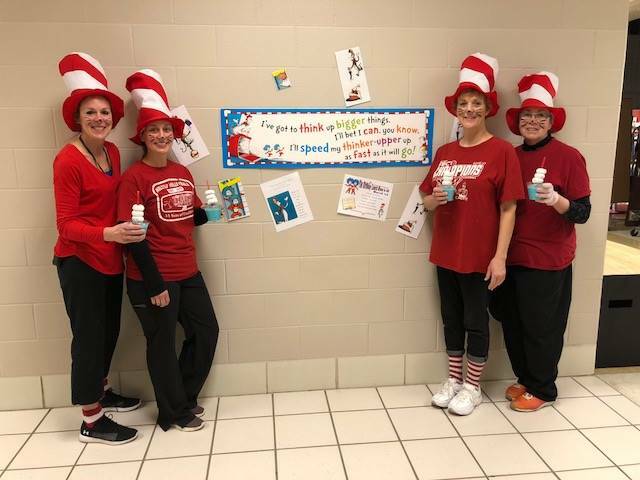 Good nutrition and learning go hand in hand! 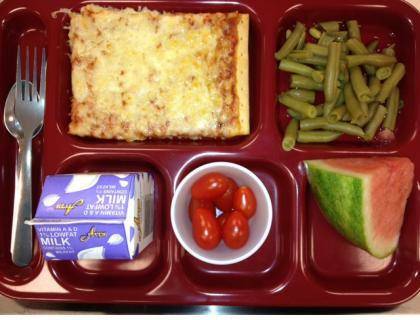 Healthy diets have proven to be linked with better overall success of the student’s entire school career. 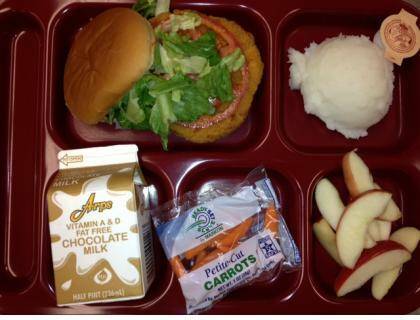 The food we consume along, with proper exercise, and studying plays a vital role in education. 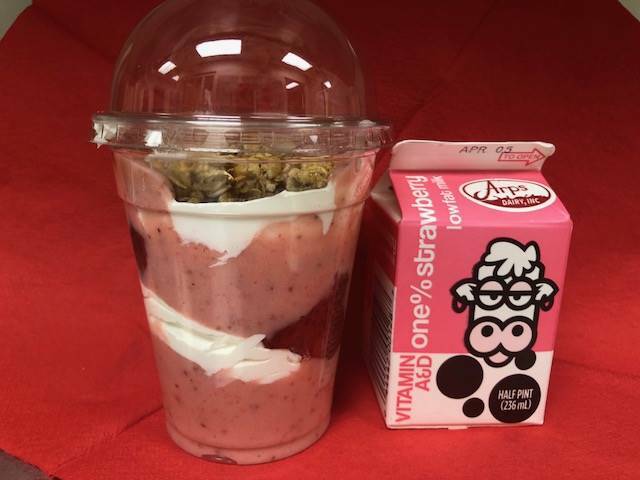 Educating proper eating choices is a priority here at Hilltop Cafeteria. 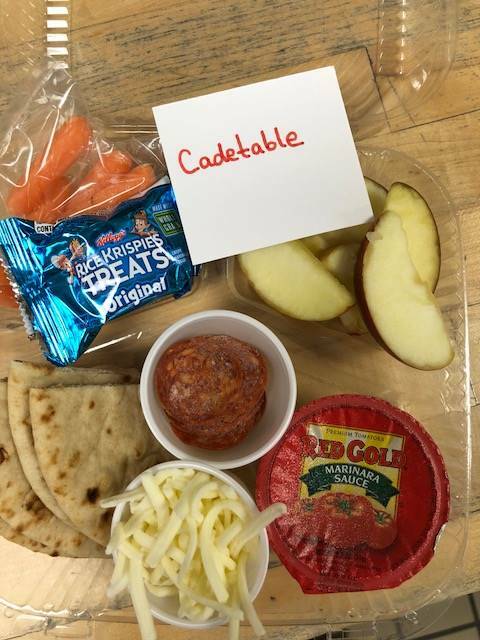 Schools across America plan menus with the food based menu approach. We follow the guidelines set forth by the USDA. We offer a rainbow of vegetables and fruits over the course of a week. Many of our bread items are whole grain rich. 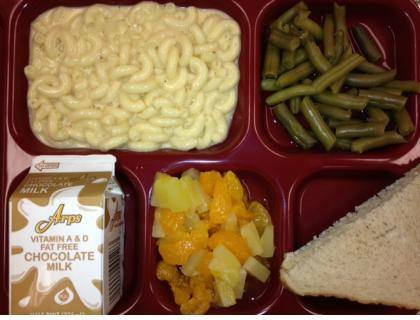 Meals have minimums and maximums of calories by day and per week per age group. We also have menu choices for everyone. Offering choices within guidelines help educate nutrition and allows room for personal preferences. 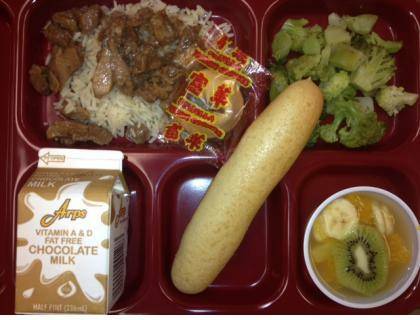 The National School Breakfast and Lunch Program is a wonderful service to its community. 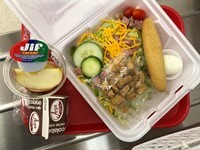 Providing breakfast and lunch for children and at prices families can afford. 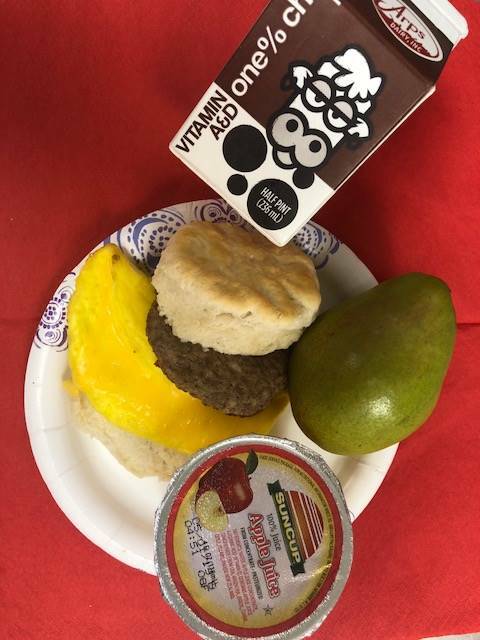 Last year we served approximately 15,500 breakfast and 50,457 lunches to our students. 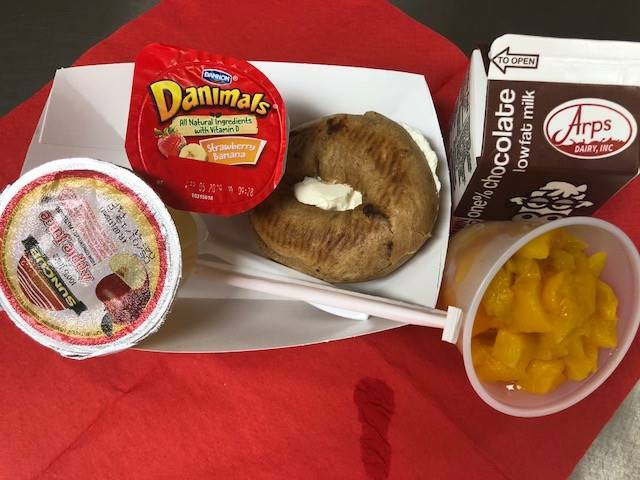 Please navigate through the cafeteria section to locate things like: menu’s for breakfast and lunch, ala carte pricing, setting limits on ala carte purchases forms, free and reduced applications, pictures of meals, no charging procedures, and much more. 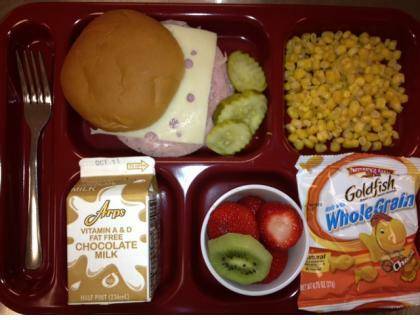 Why should I encourage my children to eat school meals? 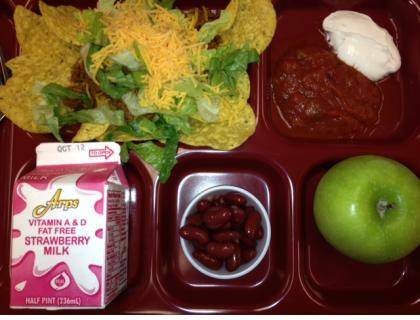 Providing students their choice of milk, fruits, and vegetables, whole grain and lean proteins, school meals are a great value and a huge convenience for busy parents. 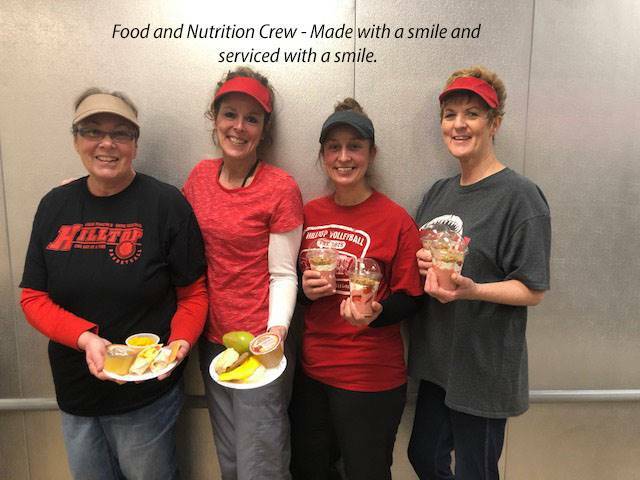 School cafeterias offer students a variety of healthy choices and help children learn how to assemble a well-balanced meal. 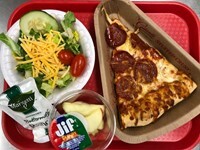 Parents can rest assured that there is no super sizing in school cafeteria's because federal regulations require schools to serve age-appropriate portions. 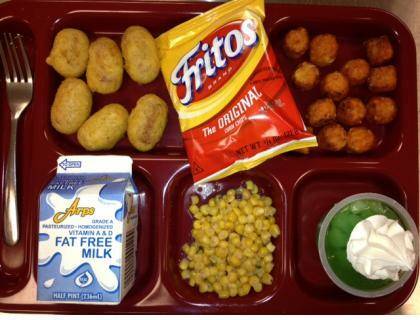 Don't school meals contain processed foods? What have become known as processed foods are increasingly being prepared with healthier ingredients, as well as less fat, sodium and sugar. 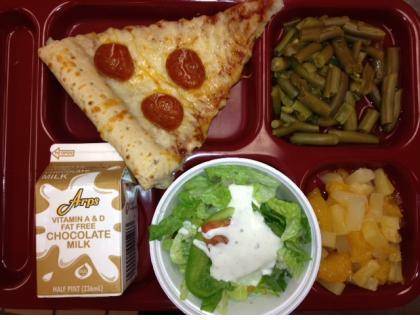 Pizzas are increasingly made with whole grain crusts, low-sodium sauce and reduced fat cheese. Chicken nuggets regularly use whole grain breading and are baked rather than fried. 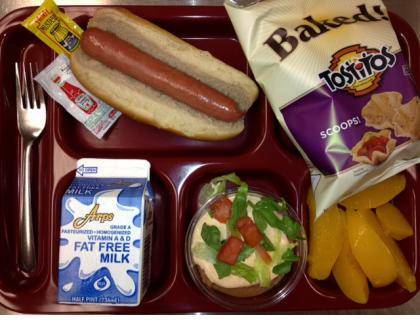 French fries are with trans fat and baked instead of fried - and many schools are now serving baked sweet potato fries. 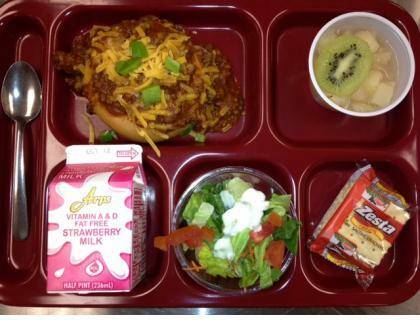 How many school participate in the National School Lunch and Breakfast Programs? 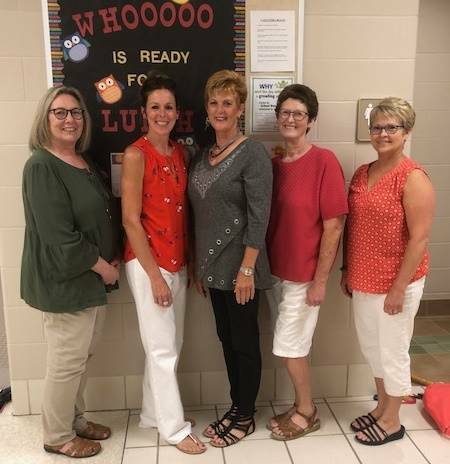 The National School Lunch Program operates in nearly 95% of America's schools, providing lunches to more than 31 million children daily with 5 billion lunches served annually. 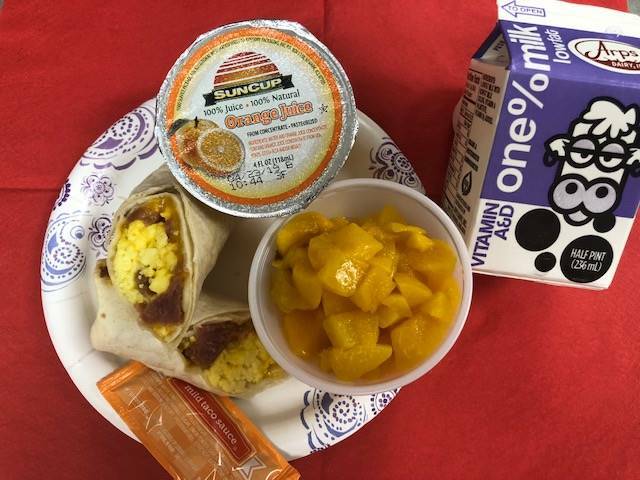 Approximately 85% of schools daily participate in the National School Breakfast Program (NSBP), which serves more than 2 billion breakfasts a year. 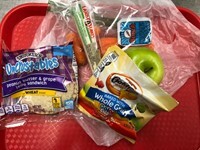 Larger servings of vegetables and fruits (students must take at least one serving of fruit or vegetable). 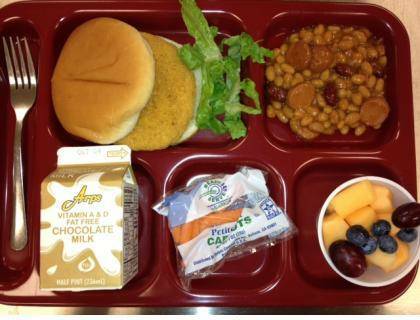 Students will be denied a regular meal if the current charge takes their balance over -$10.00. 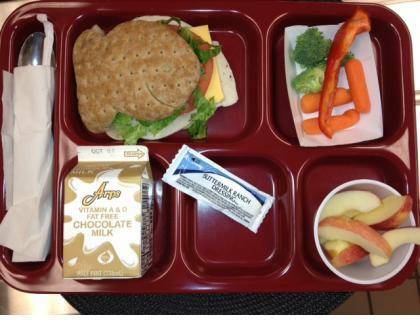 With a -$10.00 balance two or three (2 or 3) meals have already been charged, therefore the student will be denied a regular lunch and served / offered a peanut butter & jelly sandwich, vegetable, fruit, and milk. We have made it easy to check your balance and keep your lunch account current. To find your balance you can ask the cashier, email or call Miss Ellie, or check it on line, and then pay accordingly on your account. 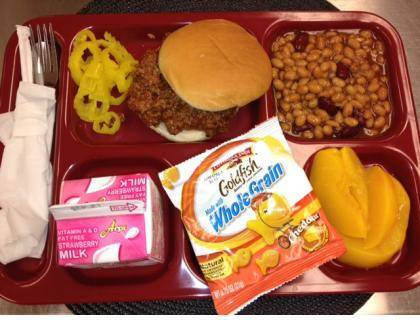 USDA has changed the National School lunch for the first time in 15 years. Why? The USDA recognizes the fast paced obesity epidemic in our country. The new meal pattern, Food Based Menu Planning, has specific guidelines some of these are: wider variety of fruits and vegetables, more whole grain rich foods, 1% milk or less, saturated fats, calories, and sodium have minimum and maximum. 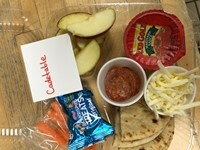 Did you know we offer these type food items on your child's lunch menu? Made from scratch, whole grain rich, natural with no artificial preservatives, contain 0 Trans fats, no high fructose corn syrup, meet Alliance for Healthier Generation guidelines, baked in place of fried. 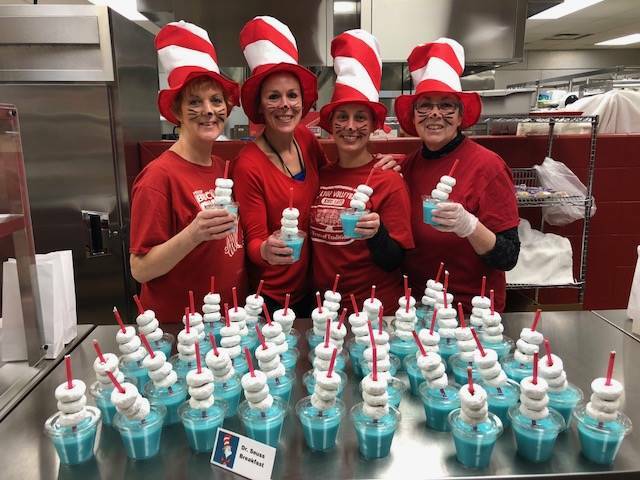 "Made with a smile and served with a smile"
Call 419.924.2365 ext. 2144 or email Ms. Ellie ~ eshinhearl@hilltopcadets.org for exact student name and NEW district ID #.